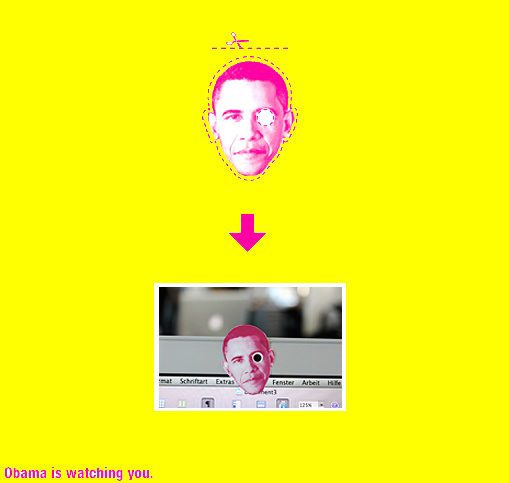 Obama is watching you! | F.A.T. DOWNLOAD AND MAKE YOUR OWN, NOW!! OBAMA IS EVERYWHERE!! YEAHH FFFFFAT!! Yeah, we stole it from standard.at! Was tooo good! ;)) We’re making DER STANDARD an honorary one-day F.A.T. Lab member for their terrific Speed Project Congrats!